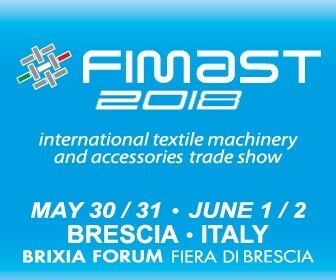 FIMAST 2018 – International Textile Machinery and Accessories Trade Show will be held by its from 30 May-2 June 2018 at the Brixia Forum, Fiera di Brescia, Italy. FIMAST 2018 the one-of-a-kind fair in the textile industry which opens scenarios on the greatest yarn manufacturers, presents large stocking factories and proposes the latest global news about hosiery textile machineries. Fimast is a unique opportunity to see the offers of the world’s largest manufacturers of textiles, leather and footwear, yarn for textile industry, manufacture circular knitting machines for producing socks, scarf and braids, string machines and accessories for chemical fiber production, winding, twisting, embroidery, packaging and equipment for laboratory testing, transport, logistics, recycling and pollution prevention and many innovative solutions.